Elite Lash Lift is one of the easiest and fastest ways to enhance and lift your entire face. The beautiful alternative to eyelash extensions, it is one of the top trending eyelash treatments chosen by many celebrity make-up artists which can give that stunning wide-eyed look to your natural lash. With Elite Lash Lift, the results are immediate and can be more cost effective and a lower maintenance alternative than lash extensions. With 16 years of experience and expertise in the beauty and aesthetics, rest assured that you will be in the best of hands. 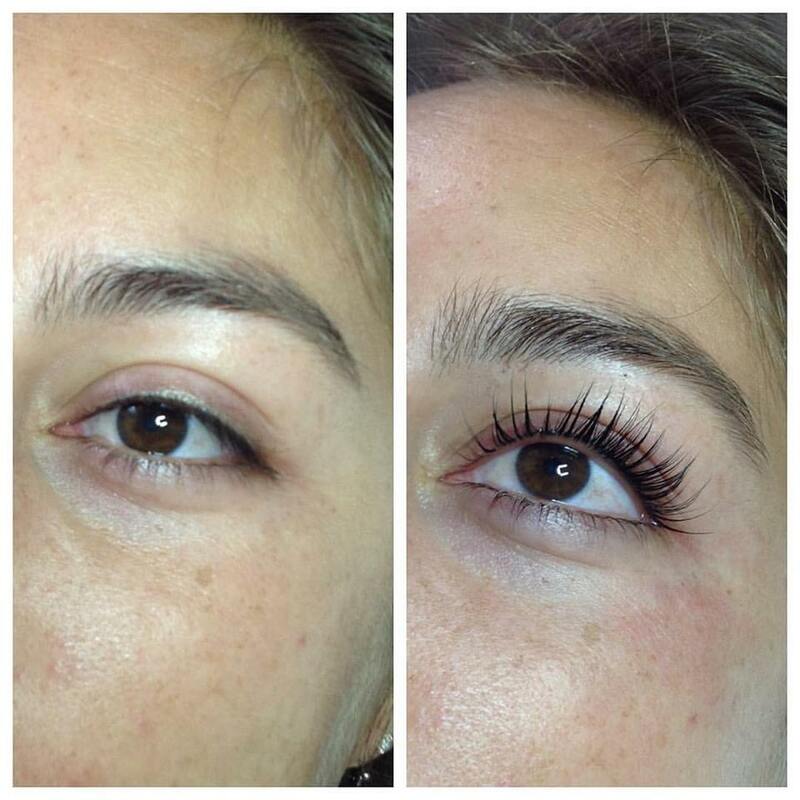 Depending on the length of your natural lashes, the procedure takes about 45-60 mins and lasts up to 4-6 weeks! How is the Lash Lift different from lash perms? Elite Lash Lift, lashes are lifted from the root rather than curling at the tips to create the illusion of longer, fuller lashes. Who is a candidate for Elite Lash Lift? Most people who do not have eye conditions or severe allergies. Anyone who are interested in enhancing the look of their natural eyelashes, although not recommended for chemotherapy patients. The process is relaxing. After you lie down on the table, an ESAB specialist will cover your lower lashes to protect them during the procedure. You then relax with your eyes closed. Many clients fall asleep during the procedure. depending on the size of your lashes, your ESAB specialist will choose the appropriate silicone pad size to "lift" your lashes. The specialist will apply specialized eyelash perming solution. Based on the coarseness of your lashes the permanent relaxing solution will sit on lashes for 10 -15 minutes. The solution is then removed and a neutralizing solution is applied for 10-12 minutes. A 5 minute lash conditioning treatment is then applied. The process takes about 45-60mins. 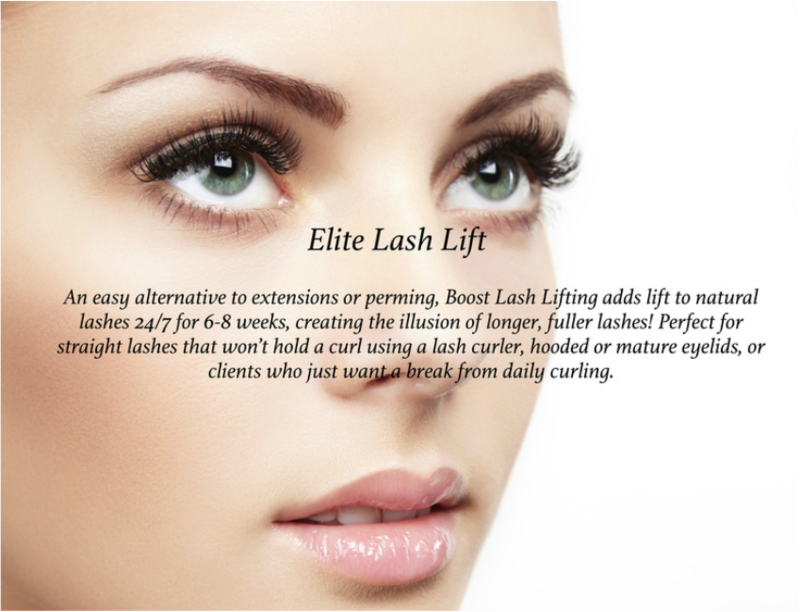 Can Elite Lash Lift be used to compliment other treatments? Yes! Elite Lash Lift is enhanced when you use an eyelash growth product. While your lashes grow longer, our process controls straight or overly curly lashes by giving them a uniform lifted look. Eyelash tinting can also be applied during the treatment to enhance the look of your Elite Lash Lift. If you have blonde or light brown lashes you may want to get your eyelash tinted along with your Lash Lift. Lash tints are special dyes applied to your lashes to give them a darker color. Yes. Lashes are lifted onto our specially shaped lifting silicone pads before products are applied so no products will be touching your skin. 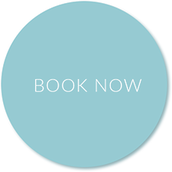 Elite Lash Lift should only be performed by a certified lash specialists. Will Elite Lash Lift damage my natural lashes? No. A professionally trained and skilled ESAB specialist will perform the Lash Lift procedure with utmost care and proper technique. What are the possible side effects of Elite Lash Lift? The product does not touch the skin during the process. Redness around the eye may occur due to the product removal process (wiping eyes with cotton rounds), but should disappear within a few minutes after the procedure. How do I care for my Elite Lash Lift? Avoid steam for 24hrs and discontinue the use of lash growth products for 48 hours. After 24 hours exposure to steam will not affect your lashes and after 48 hours you can resume the use of eyelash growth products. Mascara can be applied immediately.